Looking for an elegant piece of art to deck up your living room wall unit? What better than a piece of art that’s ought to bring in wealth along with spreading smiles? 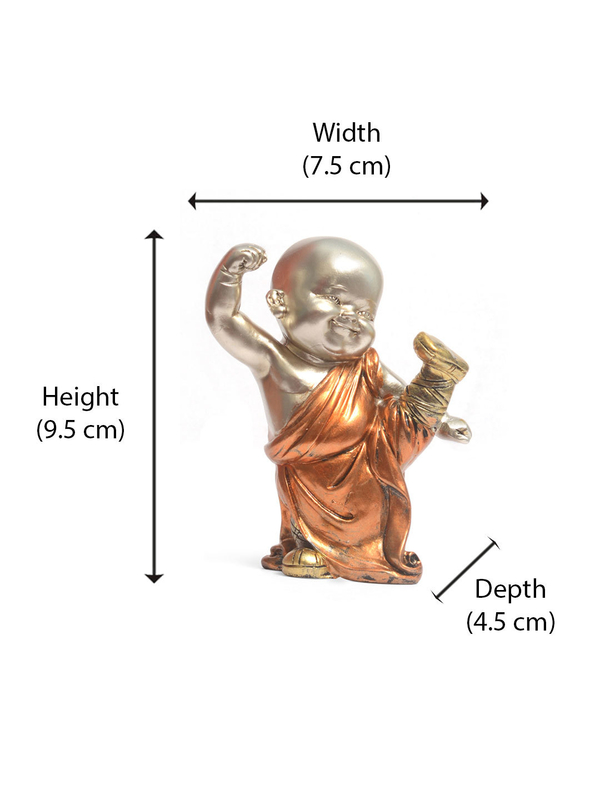 The Baby Monk Kicking showpiece is a symbol of goodwill and good fortune. It is sure to put a smile across your face the moment you spot it. The contrasting blend of golden and orange is sure to pop up and blend with your other pieces of décor.